One of the main selling points about my employer is that they offer a defined benefit (final salary) pension. This essentially means that each month I pay into my pension fund which is a proportion of my final salary. For each year that I work, I gain around 1.9% – a 30 year career would mean that I have a pot equal to 57% of my final salary. I am under no illusion that this scheme is amazing and that I am very lucky to be enrolled. The problem with defined benefit pensions schemes is that the company is essentially promising to pay you a certain amount of money – irrespective of how the market changes. Your pot in a defined benefit scheme is unaffected by a poor performing market – the benefit remains the same. While the pension fund will still be invested like other funds (bonds, funds, stocks etc.) – the company offering the scheme are liable to ‘top-up’ the pot where required. It is for this reason that most employers, offer what’s called a defined contribution pension, where they commit to match a certain payment into a fund each month. While the contribution remains the same, the size and value of the pension fund depends on the economy and market conditions. A recession and poor economy will lead to a reduced pension size, but a high performing market could give significant gains. There is a lot more risk involved. Like any other savings account, the trick to accumulating a large pension pot is to maximise the duration that you contribute. The longer the period of time that you pay into it, naturally the larger the pot will become. Each year, new graduates are recruited by the company I work for – most of which are ignorantly unaware of what an amazing deal they have just got themselves. Unfortunately, some are so clueless about pensions that they don’t even bother enrolling in the first place. Although it may be 40 years away, we all need to think about retirement and have a long term goal in mind. It goes without saying that two pensions are far better than one! Even if your partner only intends to work for a few years before starting a family – paying into a pension fund is definitely worthwhile. You always have the option years down the line to resume paying into a fund, or even transfer it or combine it with another. While pensions offer a great source of income for when we eventually stop working, they should by no means be the only source of income. I heard a sad story about a senior professional in the UK who worked for a large Accountancy firm who made one mistake (accepted a tickets to a prestigious event [i.e. a gift] which was against company policy – gross misconduct) and was dismissed and lost his pension fund. Many companies reserve the right to revoke these funds in these circumstances. I’m willing to bet that he didn’t have an equivalent back-up plan in place! NOW is the time to start generating your additional passive income streams. Whether you are 20, 30, 40, 50 or older – it is never too late (or early) to start generating passive income. The fundamental concept of retirement is commonly attributed to something you do in your 60s when you stop working because you are ‘eligible’. I like to think of retirement differently. – Something you do when you are generating enough passive income that you don’t have to work 9-5 anymore. 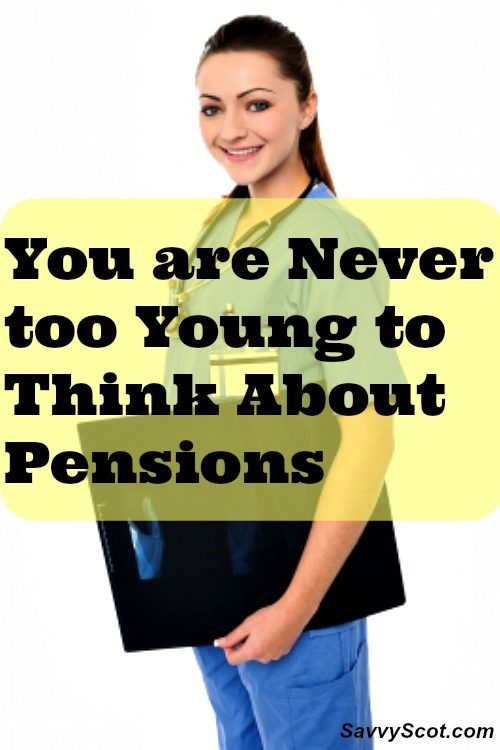 For most, this involves having a pension policy that is ready to pay out – i.e. passive income. For others, this involves having a clever and diversified portfolio which is generating income long before. Rental Properties, Stocks, ISAs, Savings, Funds, Businesses, Niche-Websites, Blogs etc. It is time to start thinking about retirement NOW! Retirement is not something you necessarily do in your sixties… retirement is something you can do whenever you get motivated…… Just ask my friend Pauline if you don’t believe me. 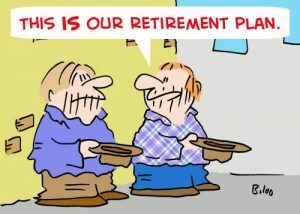 What is your plan for retirement? How much income would you have to be generating passively to consider giving up your full-time job early? I’m contributing as much as I can (while compromising with my dept reduction strategy) into my 401k, and I have a decent sized IRA which I invest prudently for growth. Beyond that it’s getting rid of my debt so I can downsize my job when I’m ready to semi-retire and switch jobs to something completely different! Great post. I have a defined pension (which I will leave soon)…I will have had 13 years into it….1/2 of a pension. Not a ton, but will help in the future! You make a very valid point that I missed Tony… no pension is so attractive that you should spend a lifetime doing a job you hate for!!!!! I have a pension scheme at my work and I did back in the UK as well. I don’t think I’ve really sat to ponder how much I would have to make to give it all up because I do enjoy what I do. I’m relatively new to my career so maybe in about 10 years time that might all change. 🙂 sounds like you already have multiple streams flowing right?! My husband has a traditional pension as a public school teacher. He has no plans to retire any time soon, and in about 12 more years, he will be eligible to retire and draw lifetime benefits as long as the state doesn’t go bankrupt. As a self employed person, my retirement is all on my own. We are planning on using a combination of his pension, my IRA, and our rental properties that we own and intend to buy. Of course a big part of the plan is paying off all debt. After the primary mortgage is gone, we could live off $4000-$5000 a month easy and could get by on about half of that if we didn’t travel or have much fun, so I’d say $5K is the goal. My plan? My first hope is that your pension will match into my account. Dream big, right? Sigh. Well, if you’re unable to make that happen, my plan is to get my spouse out of her job asap. Then, I’d like to continue working in mine as long as is possible. To make sure I don’t have to do that if I’m disabled, I’m trying to build financial independence as soon as possible. I think that is the key joe… the ASAP bit! I’m working on it too… new goal for 2013 is to max out my wife’s and my Stocks ISA (tax free) of £22,000 from blog income. Doable? Hey! Beer makes you fat and I am training for a Tough Mudder 😀 !!! More money for pension and less miles on the treadmill- win-win right?!!?! it on your paycheck, you won’t miss the money. diversification giving you more freedom. It seems as though pensions are a thing of the past in the states. I’m afraid that most of my peers will have a retirement similar to your cartoon. You’re right about pensions making up a portion of your retirement income. A financial adviser said that pensions in the states were supposed to be part of a three legged stool. Pensions, social security and personal savings were a different leg. Without one leg though the stool can’t stand on its own. I love analogies like that. So true as well! I think everyone should follow your lead and see themselves as soley responsible… that way a pension is a benefit if it still exists!!! !